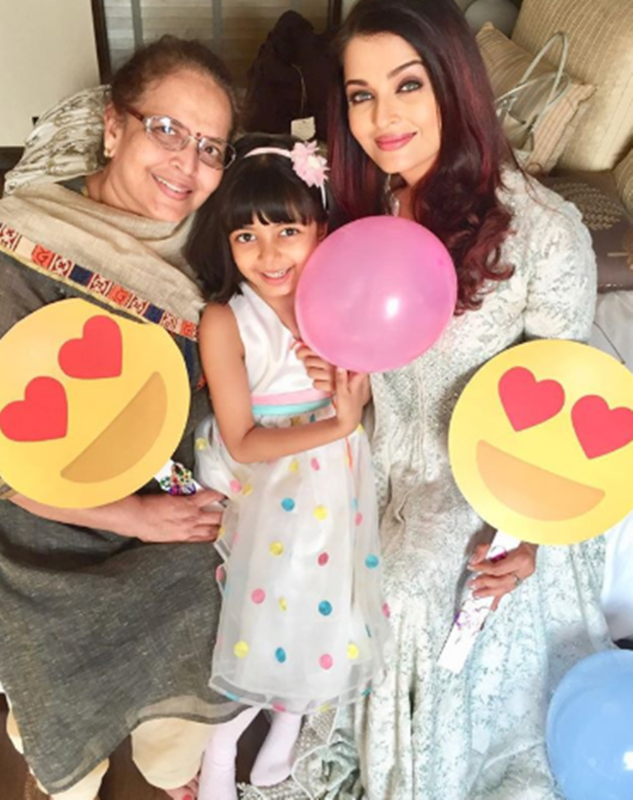 Happy Mother's Day: Be it the just-married Sonam Kapoor, who shared a photograph of her mother, or Aishwarya Rai Bachchan, who posted one with daughter Aaradhya and mother Brindya Rai, all posts reflect the love the celebs have for their mothers. 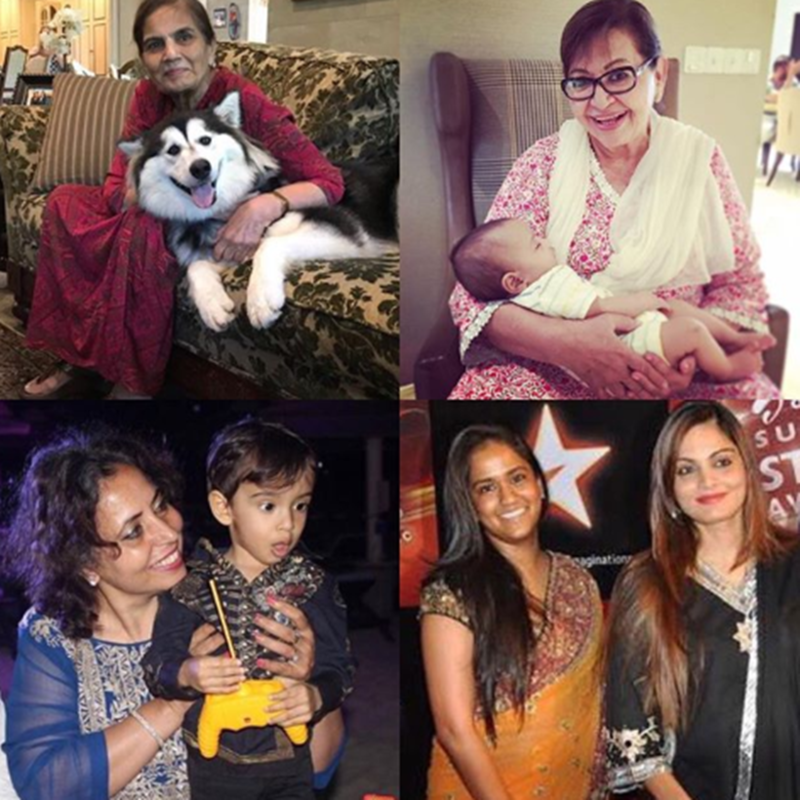 Bollywood celebs have been celebrating Mother's Day and how. Many have shared clicks with their mothers on social media. 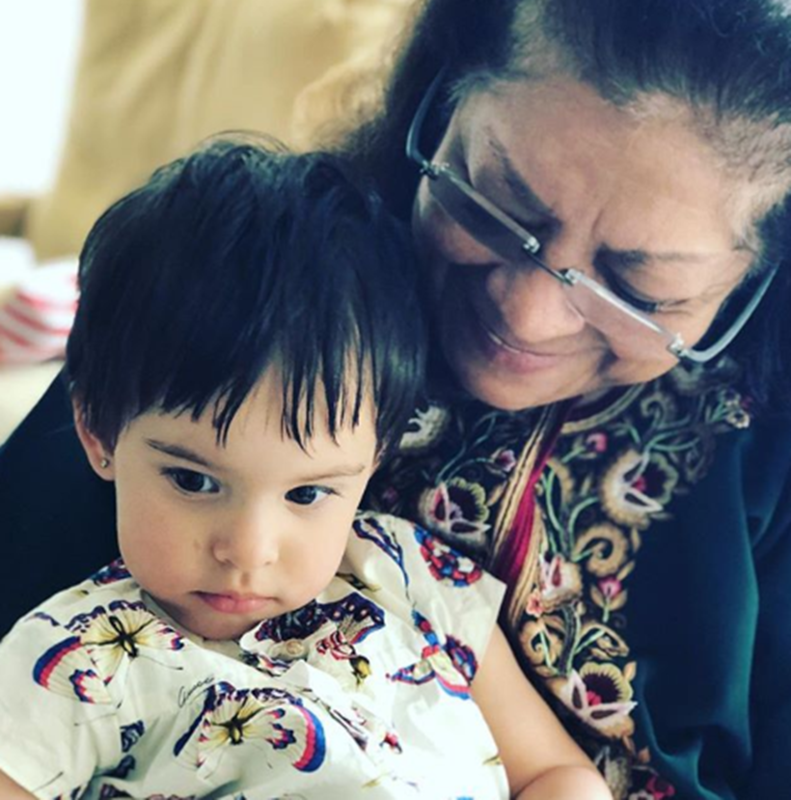 Be it the just-married Sonam Kapoor, who shared a photograph of her mother or Aishwarya Rai Bachchan, who posted one with daughter Aaradhya and mother Brindya Rai, all posts reflect the love the celebs have for their mothers. 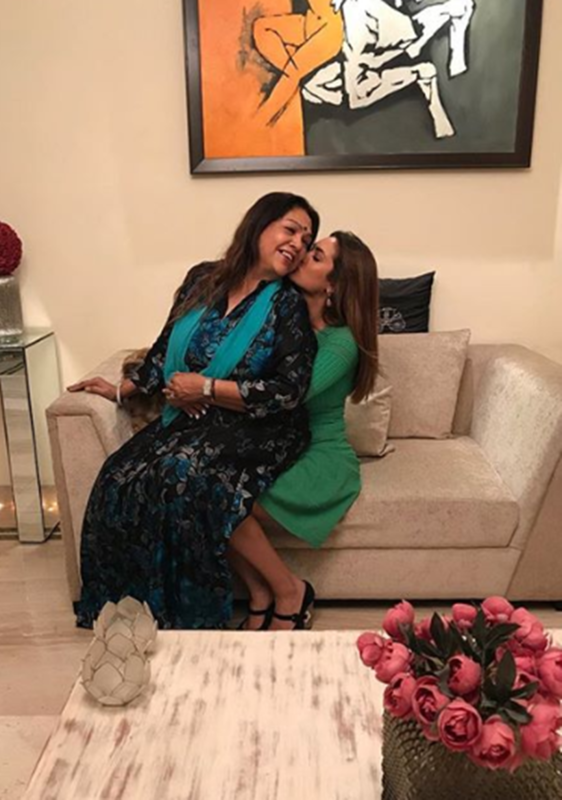 Aishwarya Rai Bachchan, who recently made her debut on Instagram, posted this click and wrote, "❤️✨💖YOU COMPLETE ME 😍😘🤗✨ HAPPIEST MOTHERS’ DAYS EVERY BREATH OF OUR LIVES..💖✨." 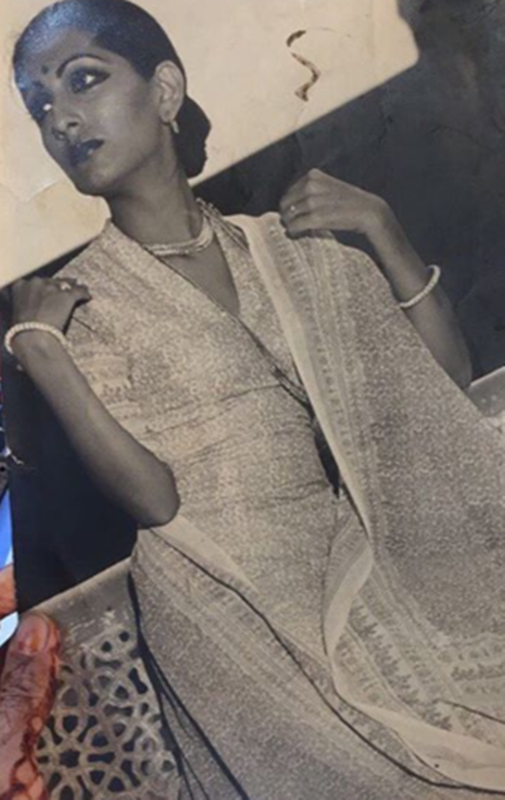 Sonam Kapoor posted a picture of her mother. "To the woman who taught me everything- compassion, passion and style! I love you mama.. happy Mother’s Day!," read the picture's caption. 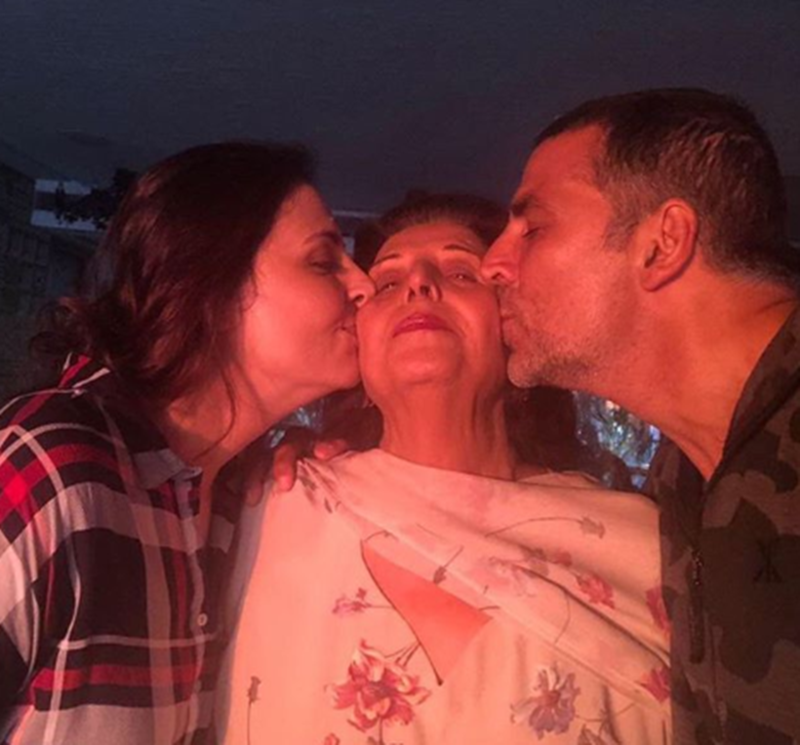 Akshay Kumar also took to Instagram to share a click with his mother. Akshay's sister is also seen in the frame. "As the Sun sets in our Home, the Light within us Shines because of this very Woman. Our Mom!! Our Hero!! Our reason for Eternal SunShine!! Happy Mother's Day Everyone," read the caption. Kartik Aaryan had a funny Baahubali touch to his post. 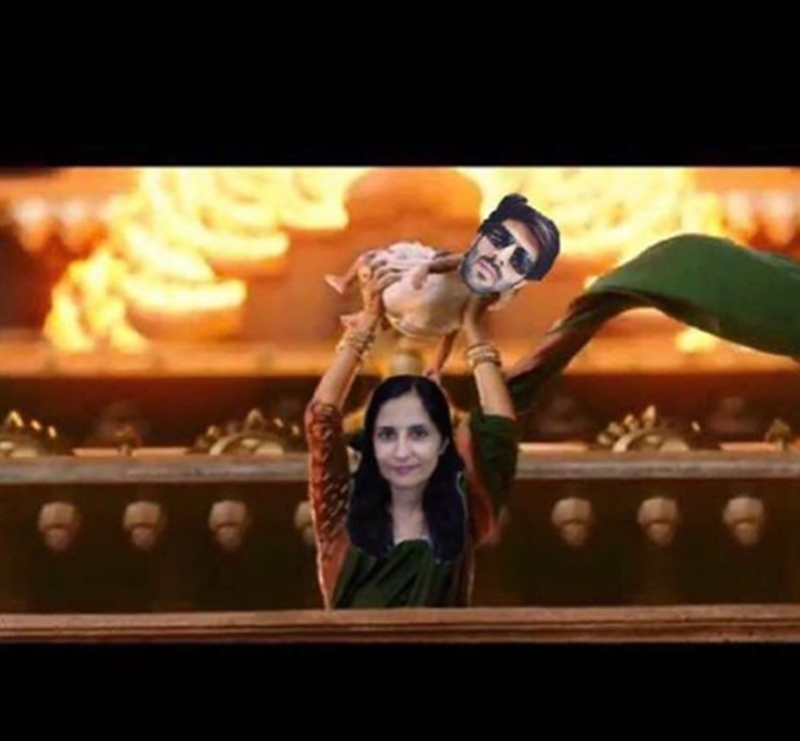 He shared this edited click with the caption, "Happy Mother’s Day Maa 💪🏻." 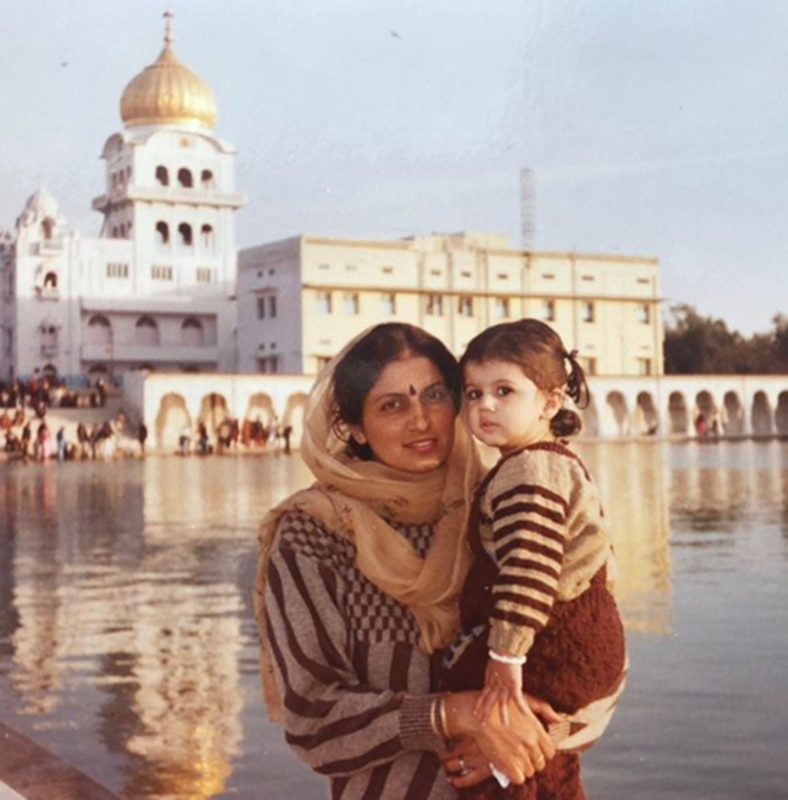 Taapsee Pannu posted this childhood picture of herself with her mother and wrote, "And that’s where I get it from..... atleast half of it 😁❤️ 👩‍👧#happymothersday #NoFilter #Inlife 🤷🏻‍♀️." 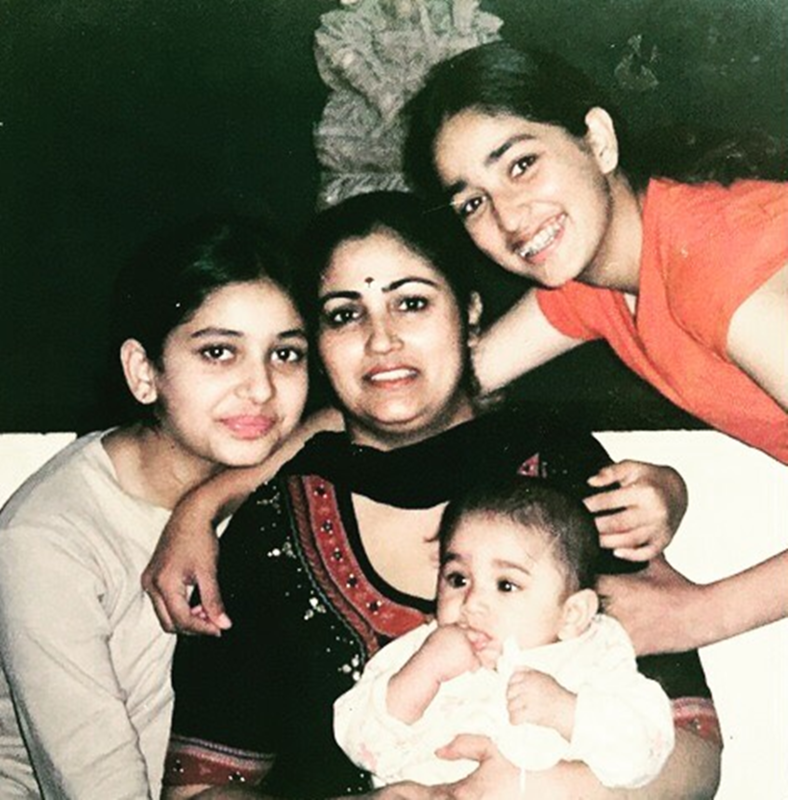 Yami Gautam shared a picture as well. The actor wrote, "Happy Mother’s Day to my world .. my most beautiful mumma ❤️❤️❤️." 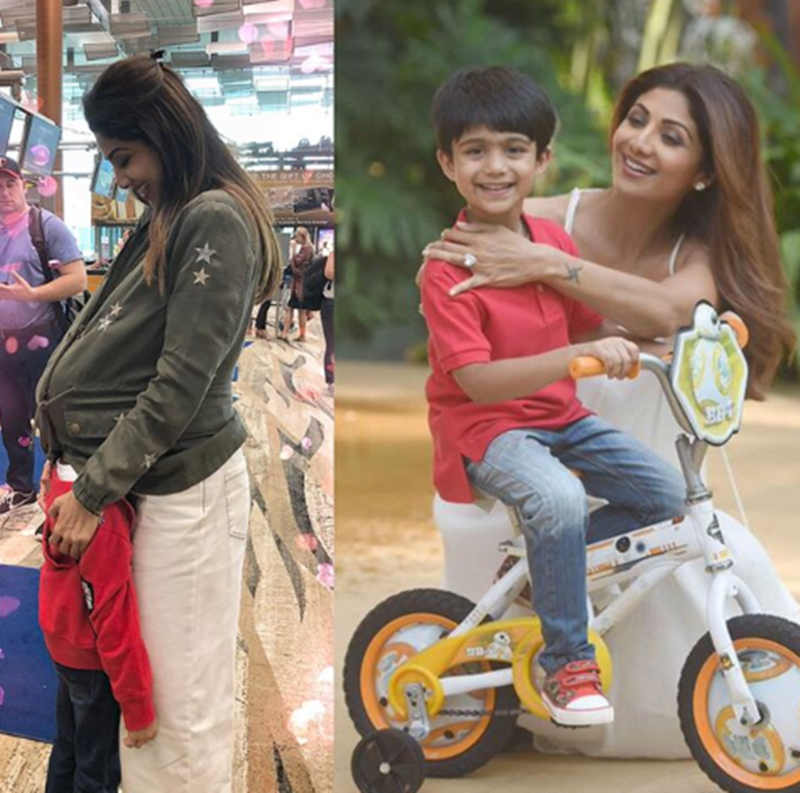 Shilpa Shetty also shared a number of photographs with a beautiful caption. "This is the best role of my life, and I already won an award in the form of you before I played it😇Still feels like yesterday when you were inside me.. Gosh! how time flies.Its amazing to now see my heart beat outside of me...Viaan-Raj , Thankyou for choosing me😬😍😘And I got my FIRST handwritten card today🤗😢😬Happy Mother’s Day to my mom , love you to the moon and back ..and to all you #SuperMoms #wonderwomen , Sending u all a #grouphug #loveyourmom #respect #gratitude, " posted the actor. "Happy Mother’s Day ! Only today do I know the unconditional love a mother has. Only today do I know every time I dint listen & back answered, threw a tantrum, fought with any one of you or said anytime mean/hurtful how it felt.But you all are still the most fun person to trouble. Thank you for being super moms & being the back bone & strength of our families. I LOVE each one Of you very very much 😘 Salma khan , @helenkhan3551 , Alvira khan , @suneetasharma 🙏," wrote Arpita Khan Sharma. Karan Johar posted this picture on his social media accounts and wrote, "Love you ❤️❤️❤️❤️❤️! #happymothersday to me and mine!" 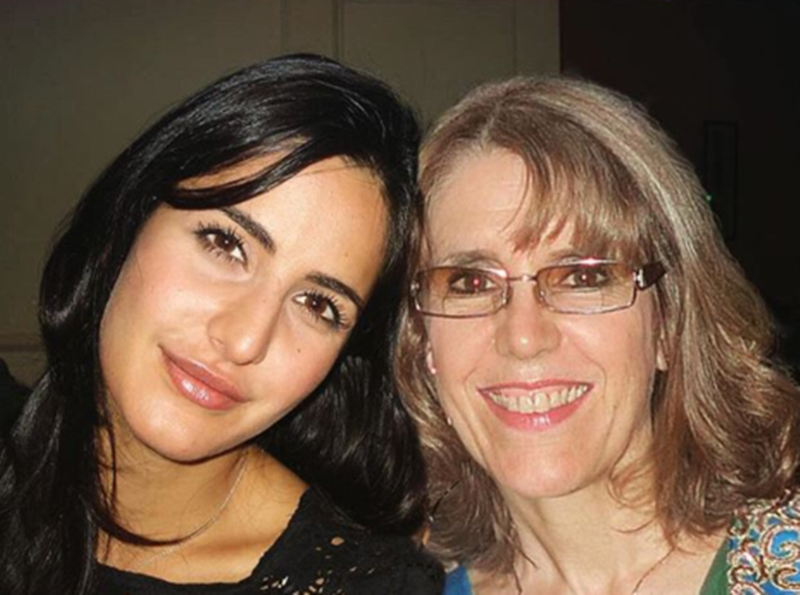 Katrina Kaif posted a click with her mom on the occasion of Mother's day. Alia Bhatt wrote, "Hello beautiful mommy. It’s your day. Today & everyday ✨." 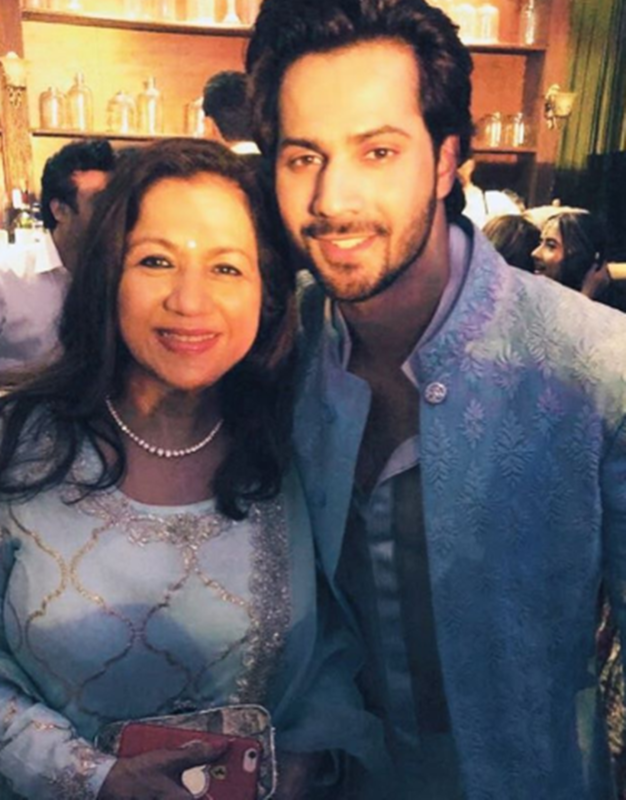 Varun Dhawan wished his mother as well with this picture. 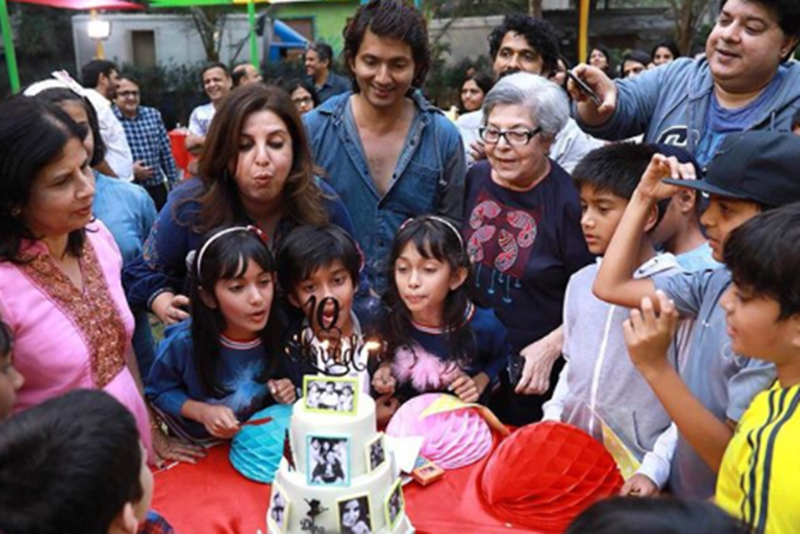 Farah Khan also shared a sweet post that read, "Everyone’s mother in the same frame!! 😂#HAPPY MOTHERS DAY!" Sooraj Pancholi's post read "My First LOVE ❤️ #HappyMothersDayMaa @zarina.wahab." 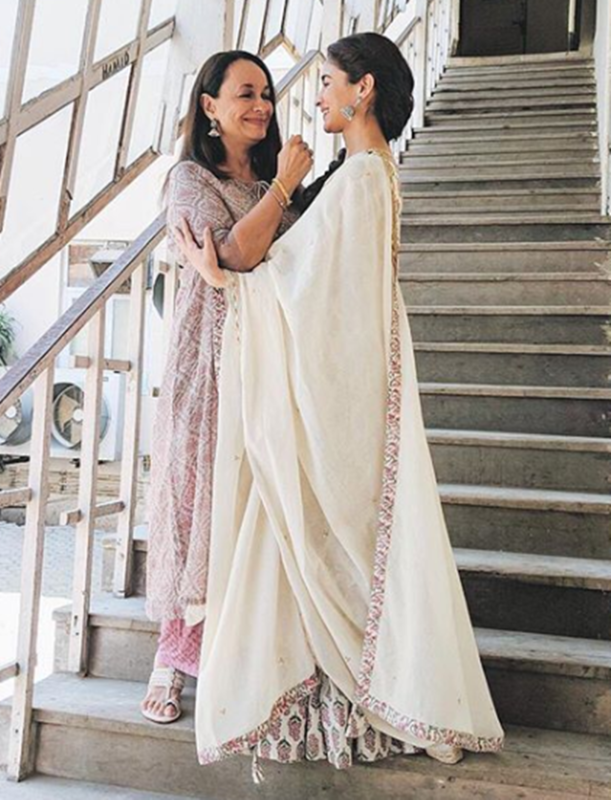 Shraddha Kapoor with her mother Shivangi Kolhapure. 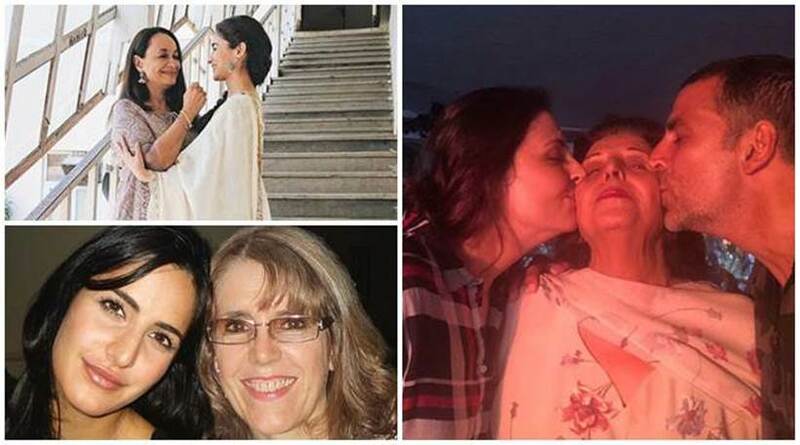 Sanjay Dutt shared this collage and wrote, "Two people in my life who are not only incredible women but undoubtedly, the best mothers too. Always thankful to God for blessing me with such an amazing & loving family. #MothersDay." 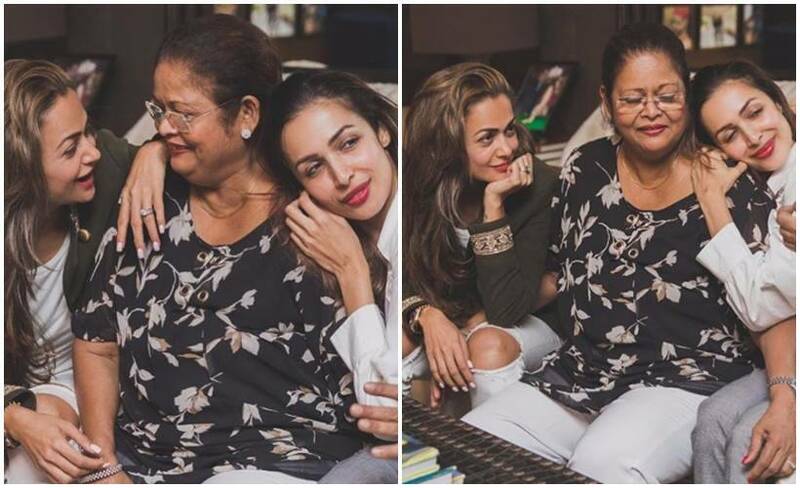 Esha Gupta was seen in a picture with her mother. 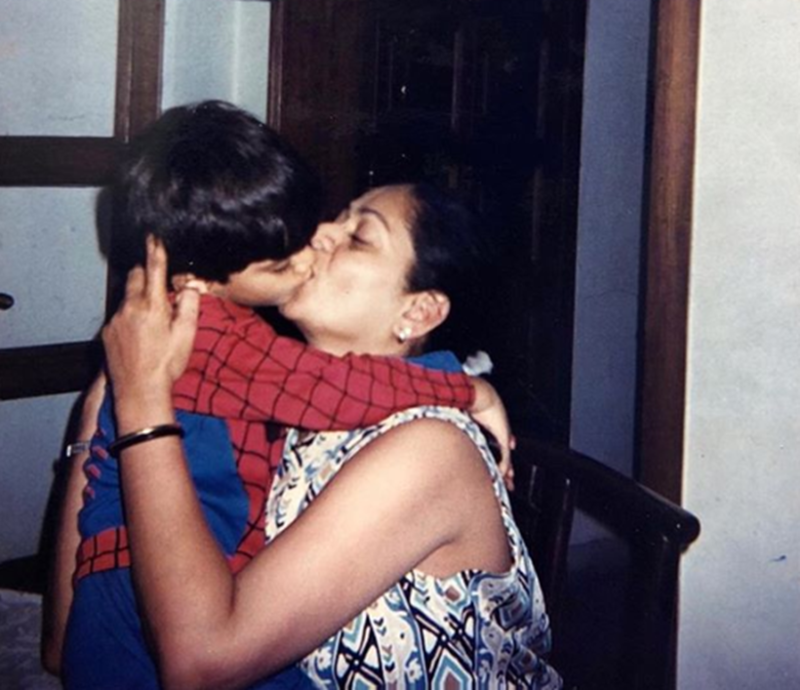 "Happy Mother’s Day Ma.. thank you for being my real hero everyday," wrote the actor. 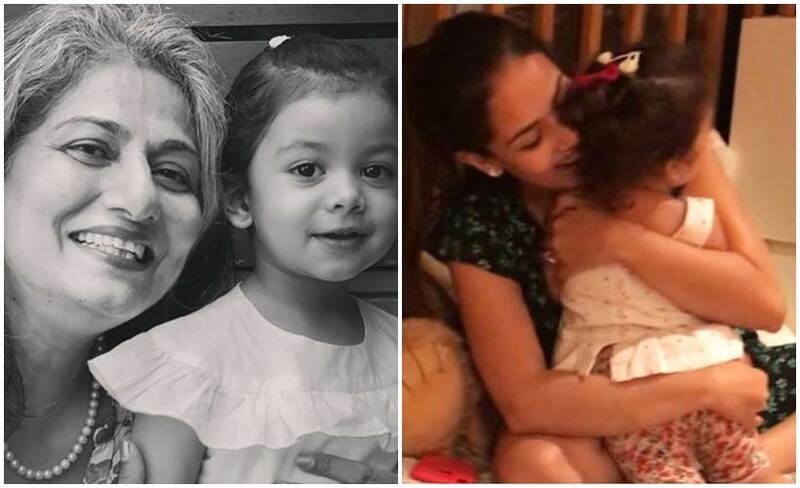 Shahid Kapoor's wife Mira Rajput too shared these adorable pictures and wrote, "I strive to be, what you are to me. 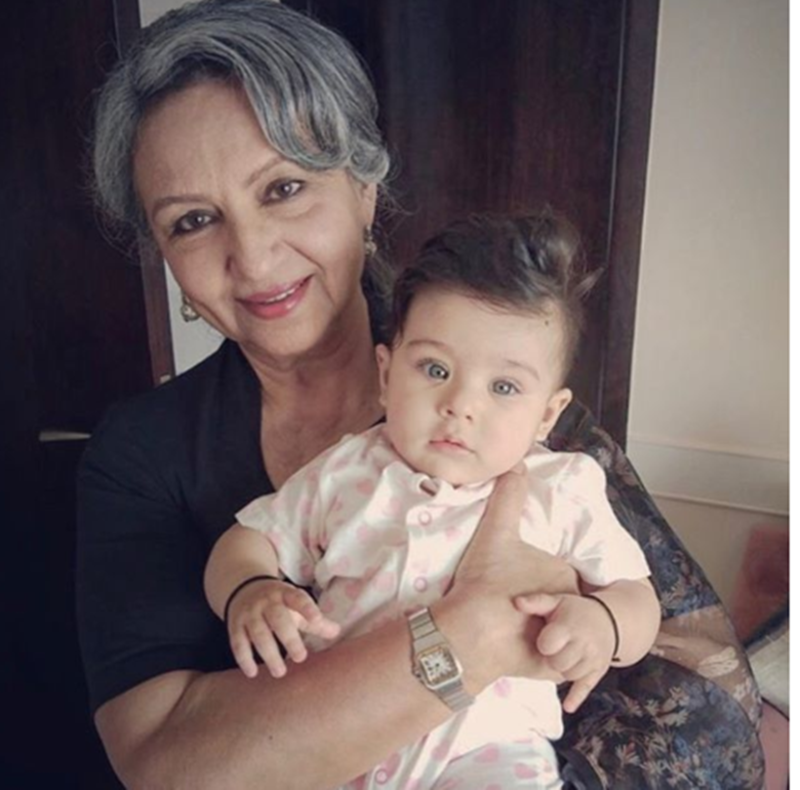 #happymothersday❤️"
Sharmila Tagore is seen in a click with her granddaughter Inaya. 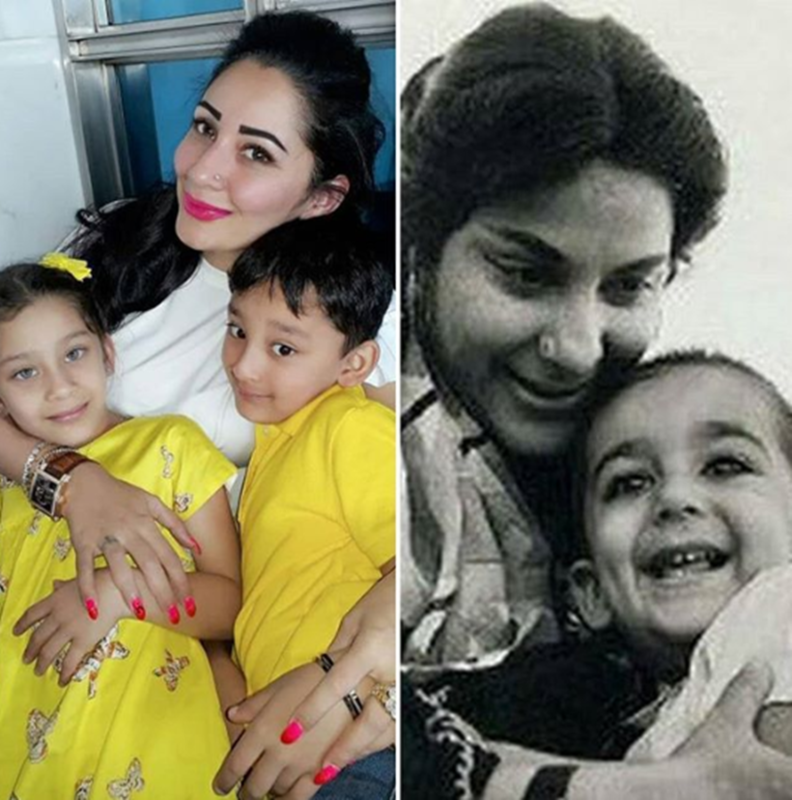 Soha Ali Khan shared this and wrote, "From one mother to another - Happy Mother’s Day 💖." 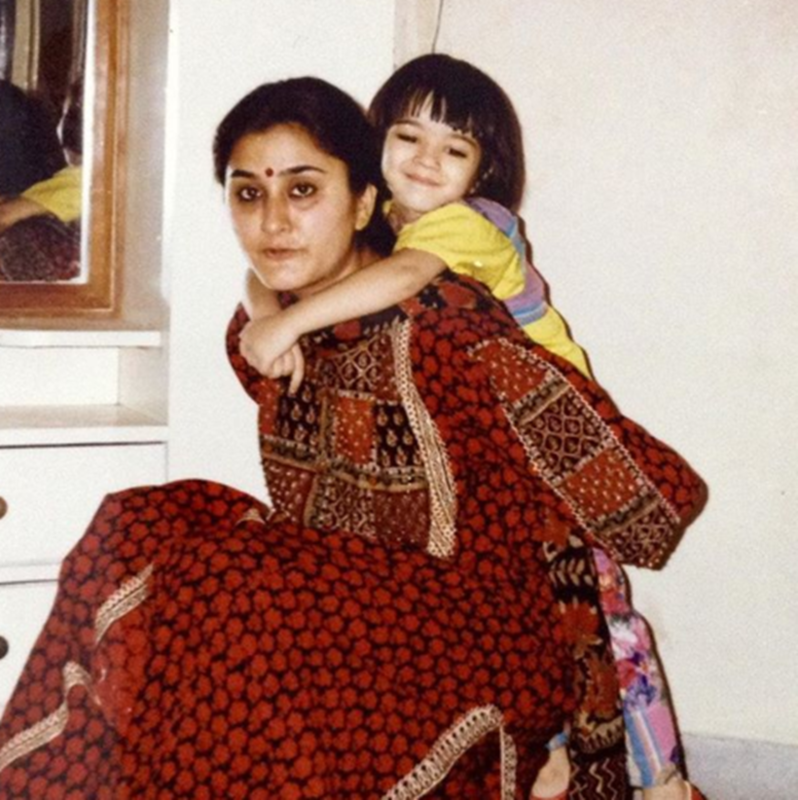 Kriti Sanon shared an old picture with her mother and wrote, "Missing my “Aata-bori” days.. hehe.. Happy Mothers Day to the prettiest Mom ever!!! ❤️❤️❤️ love you so so much mumma!! 😘 All i wanna see is a big smile on your face! !🤗 @geeta_sanon." 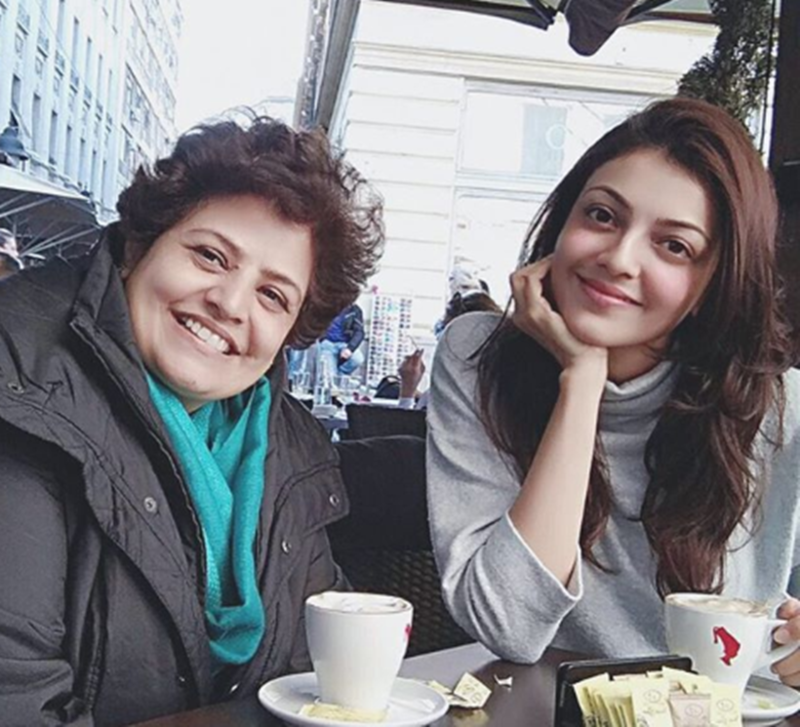 Kajal Aggarwal posted this picture and wrote, "Thank you for always pushing me to be a better version of myself. I love you my gorgeous @vinayagg2060 ! 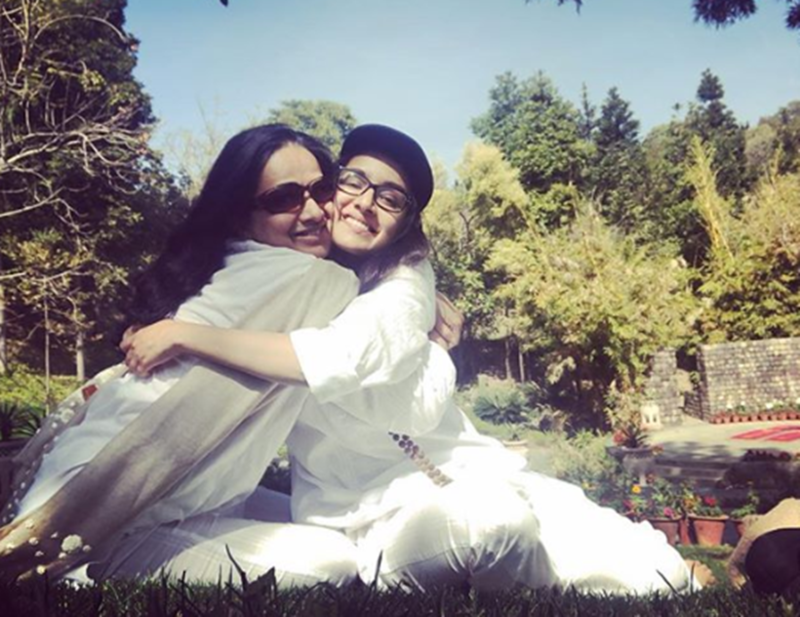 #nothingwithoutyou #myoriginalhero #livinginthebalanceofgraceandfaith #umbilicalcordstillattached #happymothersday ❤️💛💚💙💜💖"
The Arora sisters Malaika and Amrita also posted photos with their mother. 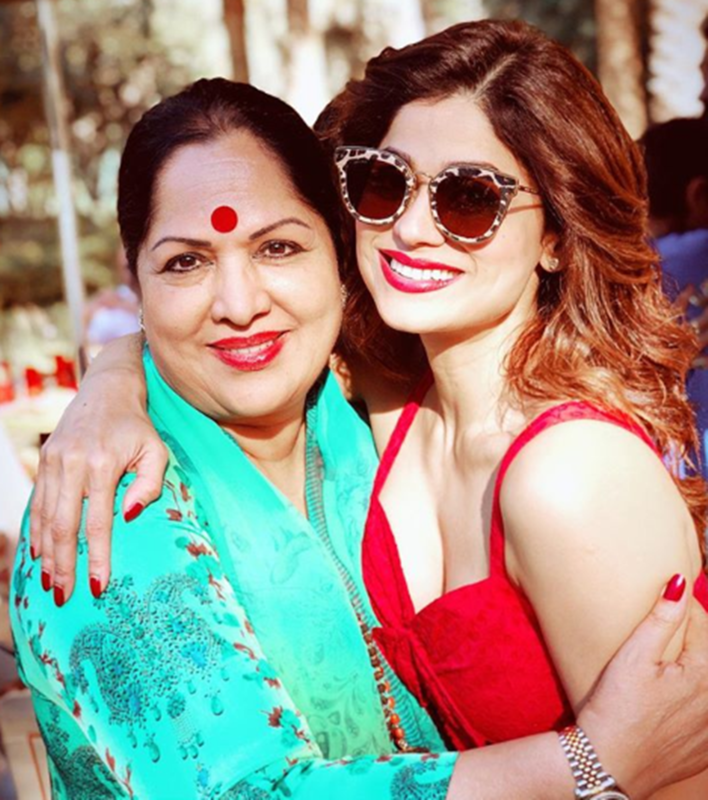 Shamita Shetty wished a Happy Mother’s Day to her 'most beautiful mom in the world'. 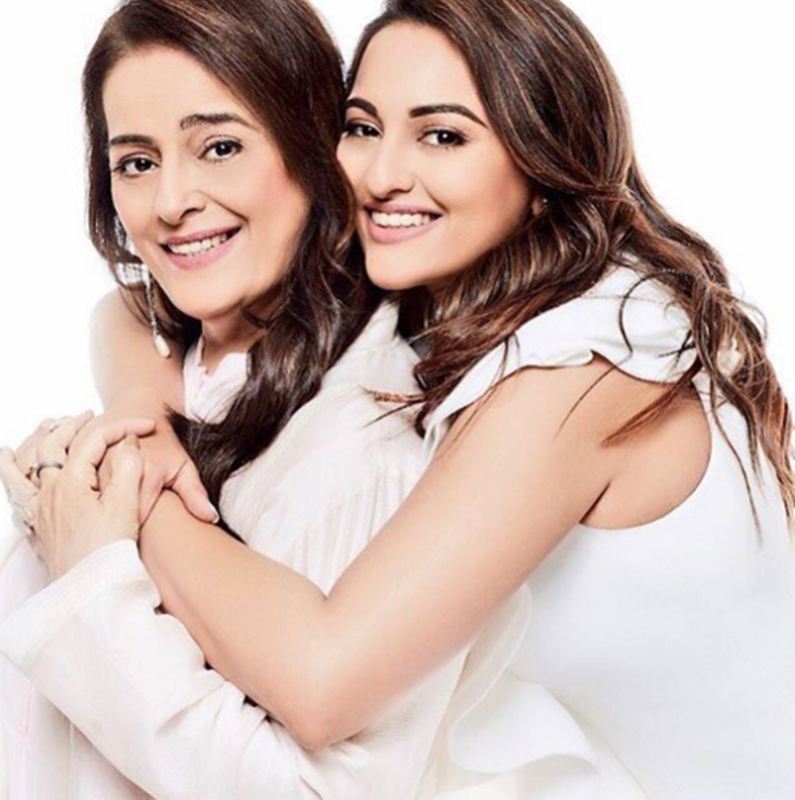 Sonakshi Sinha with her gorgeous mother Poonam Sinha. "Happy Mothers day to my first love, my first friend and my first role model! Missing you, can't wait to come back and trouble you, a whole months quota awaits you!," wrote the actor. 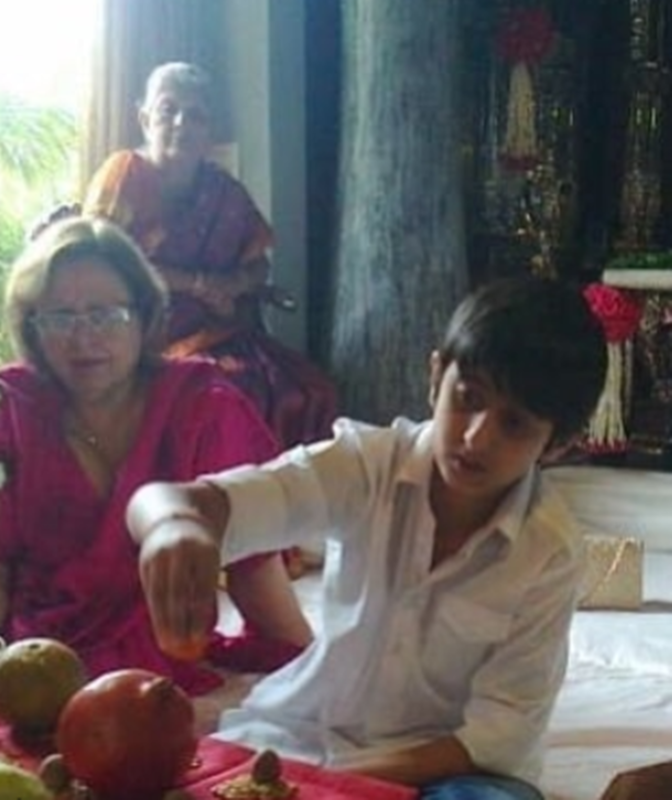 Sonali Bendre shared this picture and wrote, "My connection with motherhood comes together in this one picture... mother, mom-in-law and son... Different relationships, different experiences... but I am truly blessed have them all! Happy #MothersDay to all the amazing mothers everywhere. @bubblesbehl @rockbehl."